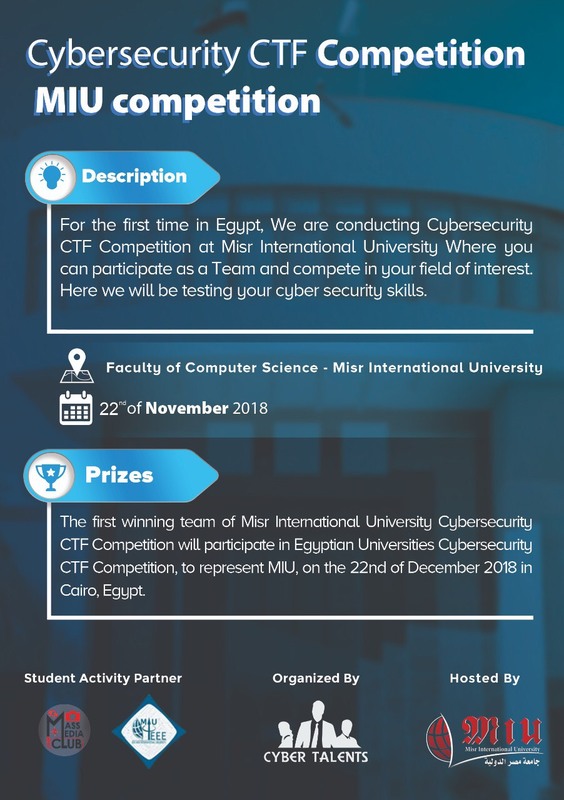 For the first time in Egypt, the MIU is organizing a Cybersecurity CTF Competition. It will be held on Thursday 22nd of November, 2018. The competition is available for MIU students only. Teams should consist of [2-3] members and students from any faculty can apply. Hurry up and register now! Places are limited! P.S: Anyone can join the competition whatever their major.